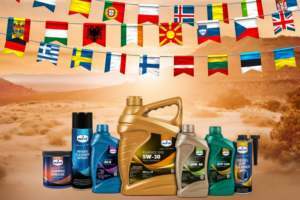 Eurol Coolant -36°C GLX | Eurol B.V. Developed for the new generation cooling systems of modern car engines and based on ethylene glycol (Organic-Acid-Technology), the GLX meets the Volkswagen (TL 774 D and F) and Renault D standards. It prevents scaling and offers excellent protection against cavitation. It protects all metals against corrosion, particularly aluminum and iron alloys, even at high temperatures. GLX protects against freezing up to -26°C resp. -36°C and contains environment-friendly additives (carboxyl-acids).